I’ve been saying a lot lately that if you want something interesting to happen in your life, carry around a guitar with you. I might also add a guidebook. At least, that is what happened to me in Valencia, Spain, last night – something very fun and interesting thanks to my guidebook and my guitar. And it also happened at a very interesting place where Ernest Hemingway, Lauren Bacall, Orson Welles and others used to hang out. To step back a little…. I finished my day’s work at the Formula One race track at the Marina in Valencia and I decided, exhausted after a long night the night before and the travel and the work, that I would not even look for a place to play music. Valencia has never been good for my musical adventure. So I opened up my guidebook, called Cartoville and published by Gallimard in France, to see if there were any good restaurants nearby. Carrying these Cartoville guidebooks is a new thing I have been doing this year after I was introduced to the books by my friend Vanessa, last year, and she took me to some amazing places thanks to these books. So I thought, why not find one for each town I go to. Tourism was never my thing – but there’s no point traveling around the world for my work and being dumb about finding places, either. The books are great because they split up the cities into sectors, and in each sector you have only five or six choices of bars, restaurants and shopping. So the choice is done very carefully, and I am rarely let down by what I find. 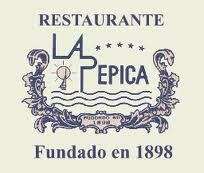 I looked in the area around the Formula One track last night and saw this restaurant overlooking the beach; it was called La Pepica, and the guidebook described it as a “local myth” and that it was mentioned in Hemingway’s novel, “The Dangerous Summer,” and that these other celebrities had followed him there, etc. And the food was said to be good, and the ambiance was good, and simple, too. So I walked over to the place, dragging my luggage behind me, and with my guitar on my back – for I had still not checked into my hotel. As I approached the restaurant, I saw suddenly some familiar faces: A massive table of maybe 35 British journalists sat on the terrace of the Pepica, in some kind of get-together for before the British Grand Prix, which is the next race after the one this weekend. There they were, BBC, Sky TV, magazine journalists, newspaper journalists from all the major publications and wire services, web journalists, other television and whatever journalists – the cream of the British racing media. As soon as they saw my guitar, two or three of them requested I play a song. In the state I was, and given that it was the beginning of the evening and still bright out and they were just being served their first course, I thought, No way. I laughed off the invitation and said that perhaps once I had eaten, I would play. I went inside, found a table not too closely within sight of the Brits, and I had a wonderful meal. The first course alone consisted of three dishes: a Valencia salad, calamari and some kind of mini muscles, shellfish. I had a nice half bottle of Rioja, and an amazing desert of some kind of parfait ice cream. It makes me want to run right back there as I write these words. So I finished the meal, reading my New York Review of Books and the latest issue of Rock&Folk, the French music magazine, and then I went out and wondered over to say goodbye to the British journalists. Some had already left, but I was immediately invited once again to play music. 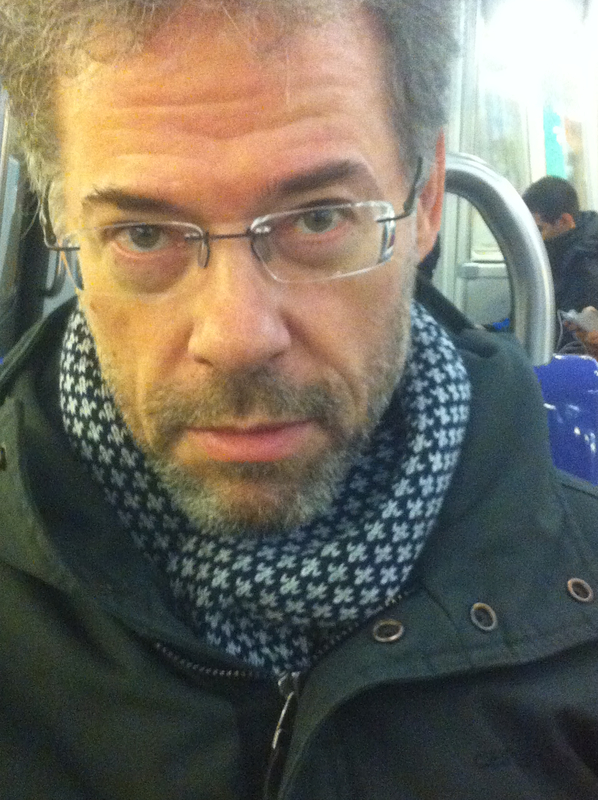 And now, I was really ready, and desperately wanting to sing. And what a place to do it in? 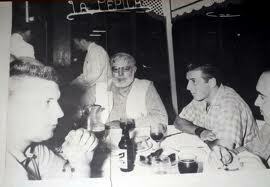 An old Hemingway hangout in the country of the flamenco guitar…. I ended up playing perhaps a total of 10 songs, split up by periods of talking, carousing and drinking the wine they offered me. Somehow I managed not to drink so much that I would lose hold of the notes, and I must say, with the beach in the distance, the sea a little beyond that, and even the appreciative waiters at this wonderful restaurant, it was an unbelievably great way to finish my first day in a town that has never been nice to me on this musical adventure – until now.